Stone benches are not only timeless, they add a beautiful touch to any garden. You dont have to worry about rotting wood with these benches because stone is incredibly durable. 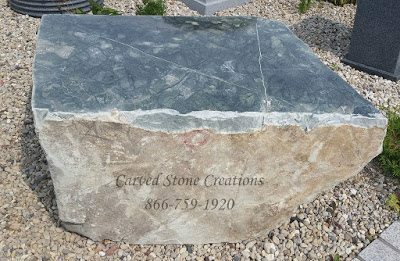 We offer a variety of styles including boulder benches, contemporary granite benches, natural rock face benches and benches with classical carvings. This boulder bench is one design option that is sure to add rustic charm to your garden. Take a seat on this handcarved treasure to soak up the beauty around you. Prance over your pond or garden feeling like royalty with a stone bridge. These bridges are stable and offer a lifetime of charm and beauty. This bamboo bridge with polished rails adds oriental flair wherever it is placed! It is handcarved from natural stone and its polished bamboo side rails shine in the sunlight. Rest your morning cup of coffee on an elegant table as you enjoy your garden in peace. This stone coffee table is truly a sight for sore eyes. 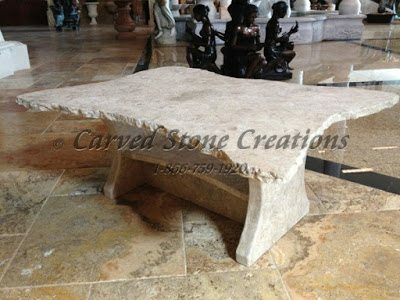 Handcarved from natural stone, it will add beauty wherever it is placed, indoors and out. To enhance its stone beauty, you can place a beautiful vase of flowers on it. The possibilities are endless! Are you ready to transform your garden? Contact us today! We make dreams into reality.